Racing Metro forward Sebastien Chabal apologised for criticizing referees in the Top 14, then condemned them again on Wednesday. One day after his club suspended the France international for his comments in a newspaper interview last week, Chabal told RTL radio on Wednesday his remarks were “taken out of context” and regretted causing a controversy ahead of the release of his autobiography. 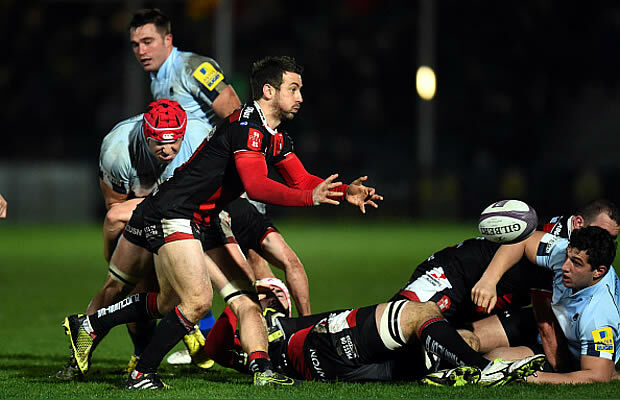 “I’m sorry for what has been published in the newspaper,” Chabal said. But Chabal reiterated that referees in the Top 14 “are suffering from their non-professionalism” and are not armed with the proper tools to perform well. “In my book I’m highlighting the fact that it’s a very difficult job I would not do for all the money in the world,” Chabal said. In an interview published last week in Le Journal du Dimanche newspaper, Chabal questioned the quality of the league’s refs and accused them of favoring Castres and Biarritz. Castres was run by league president Pierre-Yves Revol from 1989 to 2008, while France great and Biarritz president Serge Blanco was Revol’s predecessor at the league. Blanco mocked Chabal’s achievements on Tuesday, saying he “has not written one line” in French rugby history. The French Rugby Federation has referred the issue to the league which is set to open a disciplinary procedure against Chabal. Chabal said he was annoyed to be suspended until May 11 or a decision was taken by the league, but felt Racing was trying to protect him by sidelining him. 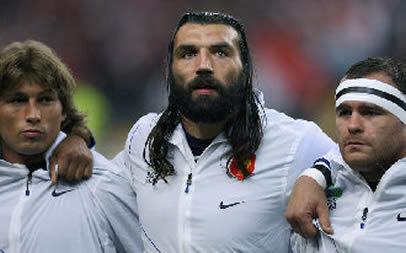 The 33-year-old Chabal, nicknamed “Caveman,” has 62 caps for France and was popular among fans. But he was hampered by injuries and bouts of flu this winter before France coach Marc Lievremont dropped him from his Six Nations squad following an historic 22-21 loss to Italy. Lievremont will announce his squad for the World Cup next month and Chabal has no guarantees he will be part of the trip to New Zealand.